Cross County Connection created a video featuring the Rt. 54/40 Community Shuttle, a free weekday Route Service in Atlantic County. The video is available to view on our YouTube channel. The shuttle schedule and information on accessible services is available on CCC’s website. 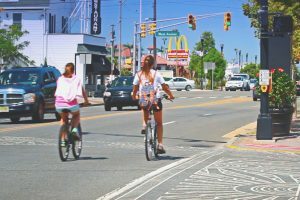 The City of Atlantic City is seeking a qualified firm to undertake a road safety assessment for all modes of travel on Atlantic Avenue from Boston Avenue (MP 5.73) to Maine Avenue (MP 8.15). The City would like to advance improvements along Atlantic Avenue, including repaving, operational, and safety improvements with the road safety assessment used as a tool to ensure that improvement meaningfully address the existing safety issues along the corridor. Technical proposals must be prepared and submitted in accordance with the goals, requirements, format, and guidelines presented in this RFP document. The RFP is currently available, interested firms should contact the Atlantic City Purchasing Department at (609) 347-5390 (tmooney@cityofatlanticcity.org, etittermary@cityofatlanticcity.org, kastin@cityofatlanticcity.org) to receive a copy of the RFP via email. SJTPO staff requests public comments on Transportation Conformity, a federally-mandated document, which reports on SJTPO’s demonstration of air quality standards. All comments are due Tuesday, April 30, 2019. For more information, visit the public comment webpage. Policy Board at 10:00 AM. Agenda items include adopting the FY 2020 budget, formally known as the UPWP, adopting the SJTPO Title VI Assurances, among other business. View the agenda, here. CAC/public comment opportunity on the Draft 2019 Public Involvement Plan (PIP) at 5:30 PM. View the agenda, here. Certification review at 6:00 PM. More information may be found, here. The latest “On the Go” article is available to read. It details how 4.4 million has been made available to fund six stages of improvements. Read the article, here. Since fiscal year (FY) 2014, Landis Avenue in the City of Vineland has been receiving federal funds through SJTPO for corridor improvements. Landis Avenue serves as “Main Street” in Vineland, and is home to many shops, municipal buildings, churches, hotels, big-box stores, and more. Six stages of improvements are planned for the three-mile stretch of Landis Avenue beginning at Myrtle Street and working westward to Route 55. Planned improvements include new pavement, upgrades to sidewalks and crosswalks, bulb-outs to reduce pedestrian crossing distance, mid-block crossings, improved pavement markings, and traffic signal upgrades. 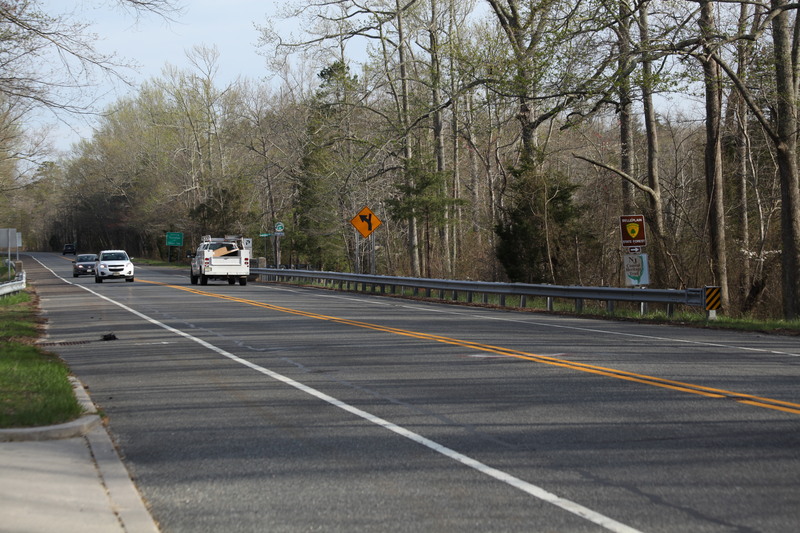 To date, from FY 2014 to FY 2018, $4,403,000 in funding has been made available through SJTPO’s federal resurfacing allocation, Surface Transportation Block Grant Program – South Jersey (STBGP-SJ), and Congestion Mitigation & Air Quality (CMAQ) funds. Phase one of the project, referred to in the FY 2014-2023 Transportation Improvement Program (TIP) (available here) as Landis Avenue, Myrtle Street to Boulevards, Resurfacing began in FY 2014. This phase received $632,000 in Surface Transportation Program-South Jersey (STP-SJ) funds and went to the mill and overlay of Landis Avenue from Myrtle Street to the Boulevards. Mill and overlay refers to a typical roadway repavement, where the top inches of asphalt are milled or removed then an overlay of new asphalt is put in place. Bulb-outs at intersections to improve safety for pedestrian cross and highly visible mid-block crossing were also added. Further, traffic signals were replaced. The traffic signal upgrades were funded through CMAQ for $1.014 million. The signal upgrades included mast arms and signal heads, larger and brighter bulbs, cameras to detect traffic waiting on side streets, and improved timing of signals. At the intersection of Landis Avenue and Myrtle Street, new striping, bulb-outs to reduce pedestrian crossing length, and newly installed traffic signals with improved lighting are all improvements funded through the SJTPO. The second phase began in FY 2015. Known as the Landis Avenue, Phase II, West Avenue to the Boulevards (County Route (CR) 615S), the project received $632,000 from STP-SJ funding, the same source as phase one. The funds went to various improvements including the mill and overlay of the roadway, widening the existing right-of-way, removing and replacing concrete items, such as curbs or other drainage features, rehabilitation of the existing storm sewer infrastructure, and bulb-outs, as needed. Traffic signal upgrades were authorized in October of 2017 for $873,300 in CMAQ funding. In FY 2015, $50,000 in funds went to the design of Landis Avenue, Phase III, Coney Avenue to West Avenue. Then in FY 2016, construction began. $670,000 in STATE-SJTPO funds was used to mill and overlay the roadway, widen the existing right-of-way, removal and replacement of concrete items, such as curbs or other drainage features, and rehabilitation of the existing storm sewer infrastructure, as needed. Landis Avenue, Phase IV, Orchard Road (CR 628) to Moyer Street, milepost (MP) 8.69 to 9.09 was funded in FY 2017 with STP-SJ funds. Much like phase three, the $609,000 in funding for phase four went to the mill and overlay of the given roadway corridor, widening the existing right-of-way, removal and replacement of concrete items, such as curbs or other drainage features, and rehabilitation of the existing storm sewer infrastructure, as needed. Traffic signal improvements are planned, with authorization pending. Phase five, referred to in the FY 2016-2025 TIP (available here) as Landis Avenue, Phase V, Mill Road to Orchard Rd (CR 628), began with design in FY 2017. $50,000 in STP-SJ funds went into designing the improvement project. Then in 2018, construction began. Funds were made available in the FY 2018-2027 TIP through the STBGP-SJ funding program. The $1,710,000 went to the mill and overlay of the roadway within the existing right-of-way. The sixth and final phase of the final corridor improvement, known as Landis Avenue, Mill Road to Rt. 55 began with design in FY 2018. The design for the improvements cost $50,000 and was funded through STBGP-SJ funds. In FY 2019, the SJTPO intends to fund the construction portion of the improvements. The improvements will include the mill and overlay of the roadway within the existing right-of-way, removal and replacement of concrete items, and rehabilitation of the existing storm sewer infrastructure, as needed. The improvements are expected to cost $1,300,000. An update for phase six will be provided when applicable. SJTPO works closely with its constituent planning partners to connect transportation projects to federal funding. 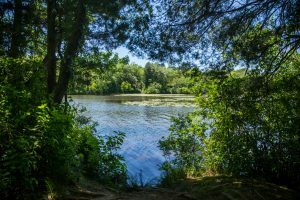 In recent months, a total of nine projects in three of SJTPO’s four counties have been authorized to advance for federal funding. A project is ‘authorized’ when it has received final approval to begin spending federal dollars. 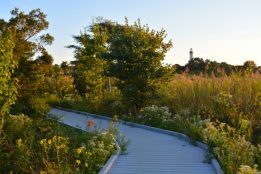 Of the nine projects, four are in Atlantic County, three are in Cumberland County, and two are in Salem County. Each project is included in the latest Fiscal Year (FY) 2018-2027 Transportation Improvement Program (TIP), which is the SJTPO product that documents funded projects. 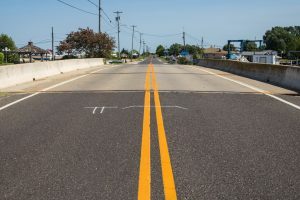 In Atlantic County, the first project authorized is Route 73 (Blue Anchor Road), Route 322 to Route 54 (Twelfth Street). This $1.3 million project will resurface a 2.4 mile stretch of Route 73 within the existing right-of-way. The second project is referenced in the TIP as Delilah Road (County Route 646), English Creek Road to Sharkey Place. This $1.1 million project will allow for reconstruction of the roadway, down to the base layers of asphalt, for a 1.27 mile stretch of Delilah Road. Further, the third project authorized is referred to as Chelsea Section, Albany Avenue. Located in Atlantic City, the design phase of this project was authorized for $133,000. The designs will include improvements to the roadway including resurfacing, upgrades to curb ramps, drainage improvements, and more. The construction phase of this project is expected to follow in FY 2019, when the design is completed. Also, in Atlantic City, is the Atlantic Avenue, Morris Avenue to Rhode Island Avenue project. Funded in earlier years with Transportation Trust Fund (TTF swap) funding, this project, which is in the design phase, will use $116,000 of funding to design mill and overlay on sections of Atlantic Avenue including ADA ramps, storm drain repairs, and compliant manhole lids and rims. Roadway improvements will be completed along two disjointed segments; Morris Avenue to Arkansas Avenue and Massachusetts Avenue to Rhode Island Avenue. 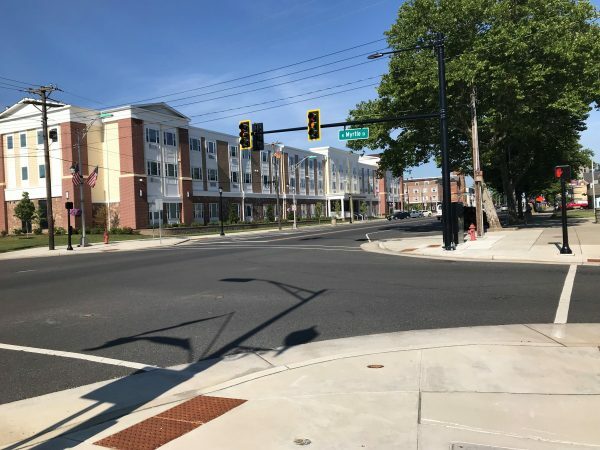 In Cumberland County, specifically in the City of Vineland, the West Avenue, Landis Avenue to Chestnut Avenue project was authorized for $1.2 million. The project, which is in the construction phase, calls for roadway mill and overlay within the existing right-of-way. In addition, the project calls for the removal and replacement of concrete items, such as curbs or other drainage features, and rehabilitation of the existing storm sewer infrastructure, as needed. The second project, also in the construction phase is the Cumberland County Systemic High Friction Surface Treatment Program – HRRR. This $2.3 million Local Safety Program project will reduce the risk of run-off-the-road crashes along 18 curves along 6 high risk rural roads (HRRRs) throughout the County. High friction surface treatment refers to the application of a thin layer of course stone to the roadway that improves the ability of vehicles to get traction and reduce the chances of skidding when travelling along a curve. The safety improvements to these areas will not only include the high friction surface treatment but also the replacement and upgrade of existing regulatory and warning signage to current design and retro-reflectivity standards within the project’s limits. The third project, FY 2018 Cumberland County Federal Road Program is the largest at $2.6 million. The funding will cover the mill and overlay of various roadways within the existing right-of-way. The roadways included are Route 347 (from Maurice Town Causeway to Cumberland County Line), Union Road (from Mays Landing Road to NJ Route 49), and a stretch of Barretts Run Road (County Route (CR) 661). In Salem County, the FY 2018 Salem County Mill and Overlay Resurfacing Program is in the design phase. This $43,000 project, authorized in mid-September, will conduct design for the mill and overlay of various roadways in Salem County. Safety improvements will also be made. The roadway selected for FY 2018 is CR 639 Willow Grove Road (from Centerton Road (CR 610) to Alvine Road (CR 655)). The last project recently authorized in the region is Hook Road (CR 551), E. Pittsfield Street to Route 295 – phase one. The $1.1 million project will include the resurfacing of Hook Road from East Pittsfield to I-295 Northbound. For more information on each project, such as the project sponsor or funding source, please review the FY 2018-2027 Transportation Improvement Program (TIP) document, which is available on the TIP webpage. The latest “On the Go” article is available to read. It details the public comment opportunities for the 2019 Public Involvement Plan (PIP) and Federal Certification. Read the article, here. The SJTPO announces the release for public comment of a draft update to its Public Involvement Plan (PIP). The PIP outlines the requirements and best practices the organization will follow to ensure that plans and programs maximize the involvement of the public. A 55-day public comment period for the draft PIP begins Monday, February 18, 2019 and concludes on Sunday, April 14, 2019. Comments may be submitted via the online comment form (www.sjtpo.org/pip or www.sjtpo.org/public-comment), email (pip@sjtpo.org), mail (782 South Brewster Road, Unit B6, Vineland, NJ 08361), fax (856-794-2549), Facebook (www.facebook.com/SJTPO), or Twitter (twitter.com/SJTPO). Additionally, a public meeting to receive comments is scheduled for Monday, March 25, 2019, beginning at 5:30 PM at Vineland City Hall in the 2nd floor Caucus Room (Directions). Staff will review comments as they arrive and will address and incorporate the comments into the PIP to the greatest degree reasonably possible. The public comments and SJTPO responses will be included as an appendix in the final PIP. The final PIP will reflect comments received and will be made available to the Technical Advisory Committee (TAC) in mid-May 2019. The TAC will then make a recommendation to the Policy Board to approve the plan. Once approved, the PIP will be posted to the SJTPO website. This PIP will replace the previously adopted PIP. Staff will begin to use the 2019 PIP to guide public participation efforts. The date of final approval is anticipated to be late-May 2019. The SJTPO will also participate in a Federal Certification Review in late March 2019. Federal Certification is a multi-agency activity led by the Federal Highway Administration (FHWA) and Federal Transit Authority (FTA) and is required every four years to assess SJTPO’s transportation planning process for compliance with federal requirements. The certification determination is essential as it is the basis for providing ongoing allocations of federal funds to SJTPO. 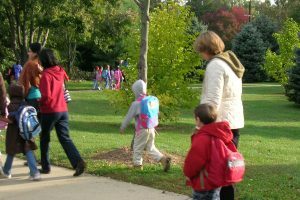 Staff requests public comments on the current planning process. A 51-day public comment period for Certification begins on Monday, February 18, 2019 and concludes on Wednesday, April 10, 2019. Comments may be submitted via online comment form (www.sjtpo.org/public-comment), email (certification@sjtpo.org), mail (782 South Brewster Road, Unit B6, Vineland, NJ 08361), fax (856-794-2549), Facebook (www.facebook.com/SJTPO), or Twitter (twitter.com/SJTPO). Additionally, a public meeting is scheduled for Monday, March 25, 2019, beginning at 6:00 PM at Vineland City Hall in the 2nd floor Caucus Room (Directions) to gather comments and answer questions. The public will have the opportunity to speak with representatives from the Federal Highway and Federal Transit Administrations directly. The SJTPO fully complies with Title VI of the Civil Rights Act of 1964 and related statutes and regulations in all programs and activities. SJTPO public meetings are always held in ADA accessible facilities and in transit-accessible locations when possible. Individuals who need accessible communication aids and services or other accommodations to participate in programs and activities are invited to make their needs known by calling the SJTPO office at (856) 794-1941. Please provide a 3 business day notice to adequately meet the request. SJTPO will participate in a Federal Certification Review in late March 2019. Federal Certification is a multi-agency activity led by the Federal Highway Administration (FHWA) and Federal Transit Authority (FTA) and is required every four years to assess SJTPO’s transportation planning process for compliance with federal requirements. We are currently requesting public comments be made on the current planning process. All comments are due Wednesday, April 10, 2019. To learn more about Certification and how to comment, visit the public comment webpage.